This November 27th, join the movement and give - whether it's some of your time, a donation, gift or the power of your voice in your local community. You can even start your own social media fundraiser! Share a link to this page or click "start a fundraiser" on Facebook. 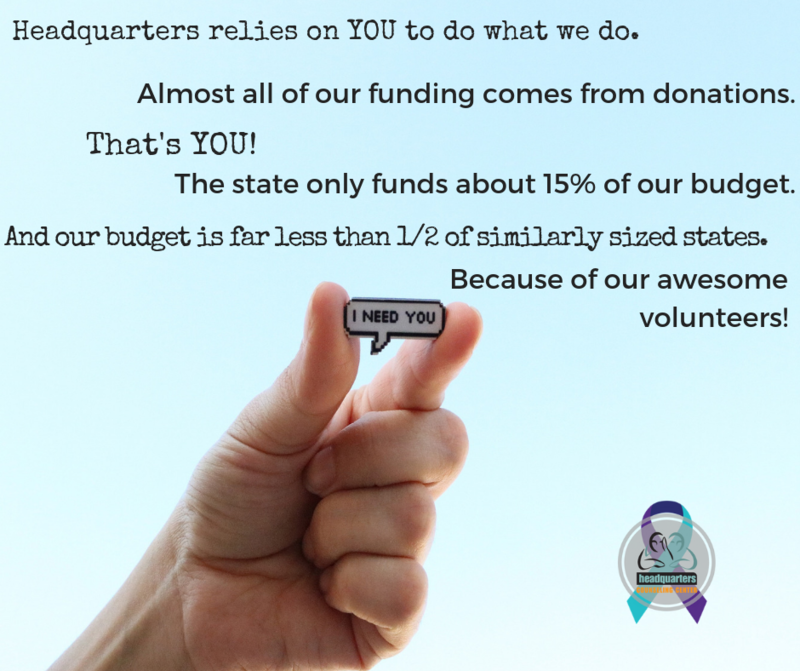 Click here to learn more about how Headquarters, Inc through Headquarters Counseling Center and the Kansas Suicide Prevention Resource Center works to Prevent Suicide across the state of Kansas. "Small but mighty." are words that have been used to describe Headquarters Counseling Center. Headquarters Counseling Center is a National Suicide Prevention Lifeline crisis center that serves people from all over the state of Kansas. Our programs are operated by volunteer counselors, who are trained and supervised by our Director of Counseling, Kristin Vernon, LMSW. We've been credentialed by the American Association of Suicidology, the leading professional organization for suicide prevention since 2001. We were honored in 2013 with the AAS Crisis Center Excellence Award. In 2015, we became accredited by ContactUSA for Online Emotonal Support for our crisis chat program. We were also awarded the Student Union Activities Community Support Award in 2015 for our work with Kansas University students. This donation is in memory of Maddie Moorman. In memory of our daughter, gone but never forgotten. Our daughter volunteered and we learned through her what an important and very needed organization Headquarters Counseling Center is! In honor of "The Listeners" who give of themselves to help people who simply need to be heard. Many, many thanks! Such an amazing organization. Please donate if you are able. HQ saves lives. No better organization to give to on this day. Miss my HQ Family <3. Wish I could give more, but know that I will someday be able to. Several years ago I was ready to kill myself. I called Headquarters and because of that phone call I am still alive today. Thank you for saving me. With so many worthwhile causes on Giving Tuesday I've decided to give to Headquarters. I've seen firsthand how much they do to improve and save lives. In loving memory of Kaycie Johnson. Headquarters is such a valuable resource that means so much to so many! Someone who wants to listen to you. How much is that worth?